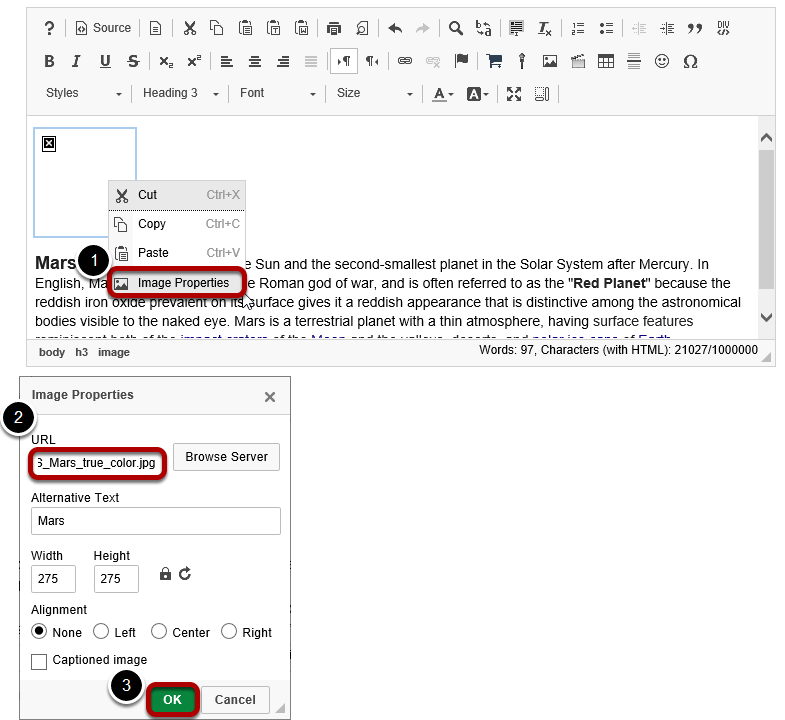 Sakai Guides and DocumentationStudent Guide Rich Text EditorHow do I add a content template to a text box? Type the title and text. Right-Click (CTRL-Click for MAC) the image and select Image properties. Prev: How do I add/edit a table in a text box? 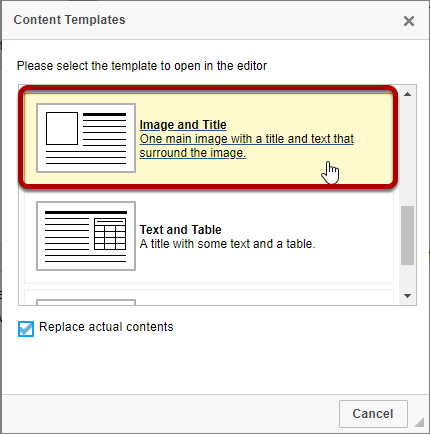 Next: How do I paste text from a Microsoft Word document to a text box?